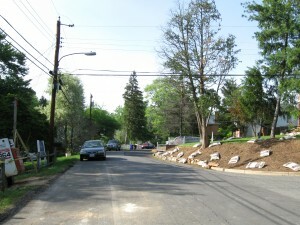 A new 5’ wide concrete sidewalk will be constructed along the east side of the street. 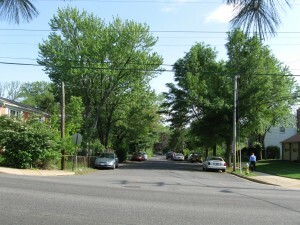 It will narrow to 4’ in width at one location to protect a mature tree. The utility (grass) strip width will be mostly two and a half feet along the east side, except where a mature tree is to be protected. There will be no utility (grass) strip at that location. LED Carlyle-style streetlights will replace existing DVP-owned Cobra streetlights. 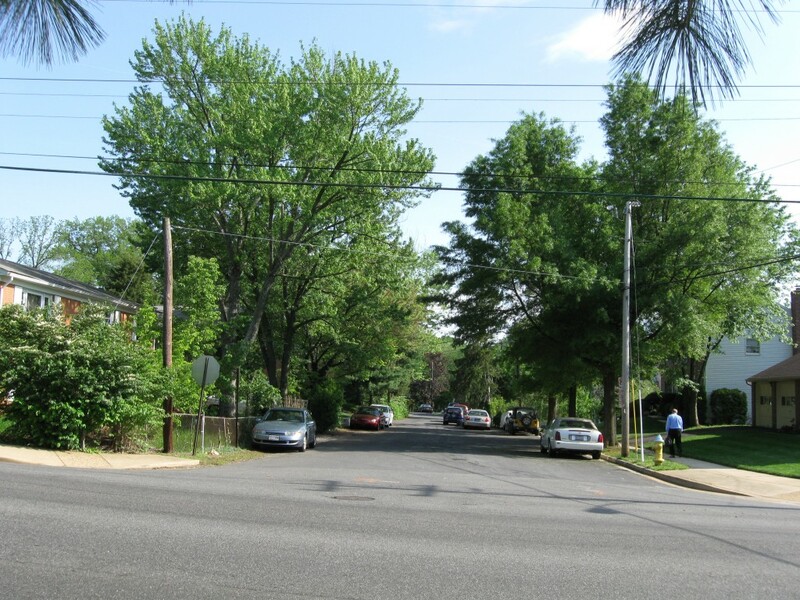 The street width will be narrowed to 28’-0” at the northerly end of the project limits, closer to Washington Blvd, and on street parking will be retained along both sides. The existing utility (grass) strip with mature trees along the west side at the northerly end will be widened to provide more space for the roots, currently overgrowing the curb due to inadequate width. The street width will be narrowed to 22’-0” at the mid to southerly parts of the project limits, and on street parking will be retained along the east side only.